ZenTech® Ultra Clear Anti-Scratch Screen Protector For. 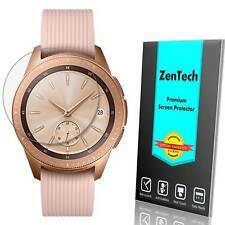 Why Buy From ZenTech® Samsung Galaxy Watch 42 mm. 4X Premium Screen Protector. Premium screen protector: Made of highest quality optical-grade film. SuperGuardZ® Ultra Clear Anti-Scratch Screen Protector For. SuperGuardZ® screen protectors are made from high-quality optical-grade film, which consists five layers: (1) Anti finger print coating, (2) Anti scratch coating, (3) Optical PET layer (4) Silicone gel layer that ensures bubble free installation, (5) Protection liner. ZenTech screen protectors are made from high-quality optical-grade material with anti-scratch coating. The screen protectors are thin, transparent, and can protect your screen against dust, scratches, and fingerprints. ZenTech ®Premium Ultra Clear Anti-Scratch Screen Protector For LG K5. ZenTech ® screen protectors are made from high-quality optical-grade material with anti-scratch coating. The screen protectors are thin, transparent, and can protect your screen against dust, scratches, and fingerprints. Trending at $3.45eBay determines this price through a machine learned model of the product's sale prices within the last 90 days. This is a new, unused item, with no signs of wear. Browse our. Tablets Accessories. Cell Phones Batteries. Cases & Covers. These ultra thin premium screen protectors provide anti-glare and anti-fingerprint protection and can be easily applied or removed. This is a new, unused product with no signs of wear. Let's Get In Touch! It can resist straight light effectively and increase the contrast of the screen. 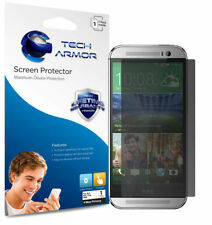 PureGear products, PureTek Series, Screen Shield Anti Fingerprint Refill for HTC One. Clear finish. HD Clarity. Requires PureGear Roll-on Kit. Let's Get In Touch! Best Quality. Browse our. Cell Phones Batteries. This is a new, unused item, with no signs of wear. UNBEATABLE VALUE. iPhone 8 Cases. Phone Batteries. MYBAT presents you the Twin Pack Screen Protector. These ultra-thin, reusable screen protectors can be easily applied or removed and leave no sticky residue. The dust repellent anti-glare/anti-fingerprint material provides maximum screen readability under various lighting conditions (even direct sunlight) and is also fingerprint resistant. These ultra thin premium screen protectors provide anti-glare and anti-fingerprint protection and can be easily applied or removed. Our main warehouse is located right outside of Baltimore, Maryland. Great quality screen protector films that protect your phone screen from scratches, dust and dirt. 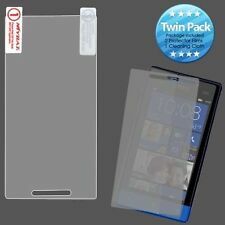 This package includes two easy to apply screen protector films. Plastic scraper is also included to reduce air bubble. Let's Get In Touch! We've got what you need! Best Quality. Cell Phones Batteries. Browse our. Cases & Covers. Shield and protect your screen from scratches and blemishes. Includes two (2) premium screen protectors, applicator card, and screen cleaning cloth. Quickly and easily adheres directly to your device's screen. We've got what you need! Best Quality. Browse our. Tablets Accessories. Cell Phones Batteries. Cases & Covers. It can resist straight light effectively and increase the contrast of the screen. The special material of the screen can protect your wireless device from scratch and fingerprint. Made of ultra-thin PET film with strong adhesion. Be made of ultra-thin PET film with strong adhesion. Great quality screen protector films that protect your phone screen from scratches, dust and dirt. We've got what you need! Browse our. Tablets Accessories. Cell Phones Batteries. Cases & Covers. All Catalog. Browse our. Tablets Accessories. Cell Phones Batteries. Cases & Covers. LG Google Huawei Sony OnePlus Xiaomi Motorola BlackBerry HTC Ringke Accessories. Ringke Car Essential. Ringke [Square Ring]. Ringke [Prism Ring]. Dashboard Car Mount. Refurbished but looks and feels NEW! Let's Get In Touch! Tablets Accessories. Browse our. Cell Phones Batteries. Cases & Covers. Newly fitted for the HTC One, the iVisor AG is the next generation screen protector that has been expertly designed to protect your s6 edge beautiful display while reducing annoying glare and smudging. Clear finish. Let's Get In Touch! We've got what you need! Best Quality. Cell Phones Batteries. Browse our. Cases & Covers. Slim Silicone Case for HTC Desire SEE. Samsung Galaxy Case Holster Clip. Crystal Clear. Includes 6 Screen Protectors. Cell Phone Screen Protectors. Shockproof Slim Case for LG Devices SEE. Case for iPhone 8/7/6s/6 & 8/7/6s/6 Plus. 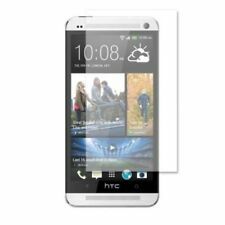 The New HTC One -Clear- 60554PG - New In Box. PureGear PureTEK Screen Shield Anti- Fingerprint Refill for. 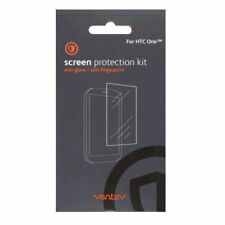 PureGear products, PureTek Series, Screen Shield Anti Fingerprint Refill for HTC One. Clear finish. HD Clarity. Requires PureGear Roll-on Kit. UNBEATABLE VALUE. iPhone 8 Cases. Phone Batteries. 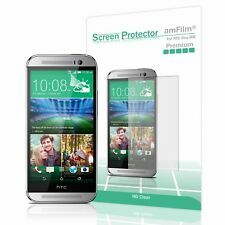 Hi Impact Screen Protector Designed for HTC One M9. 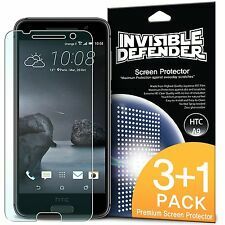 HD PET Ultra Clear protection. Instant Bubble free install. iPhone 8 Cases. Phone Batteries. Includes 2 clear screen protectors and 1 anti-glare screen protector. Also includes a cleaning cloth and an applicator card. UNBEATABLE VALUE. Phone Batteries. Dry Application. Easy installation guide and with video tutorials on how to install the screen protector on your device properly. Clear Oleophobic screen coating protects against unwanted fingerprints, smudge, sweat, oil residue and normal wear and tear. It can resist straight lignt effectively and increase the contrast of the screen. The special material of the screen can protect your wireless device from scratch and fingerprint. Easy to apply.